Sekiro: Shadows Die Twice is out, and the critics have weighed in. You can read my thoughts here, though in summary: it’s awesome. We gave it 9/10, feeling that the only slight note of mediocrity was in its merely competent stealth system. Everything else about it is brilliant. Initially you may feel it’s FromSoftware’s hardest game since Demon’s Souls, but when everything clicks it becomes a thrilling and much less maddening adventure. Pretty much everyone else feels the same way, it seems. At time of writing Sekiro is riding the wave of aggregate scores of 89 at Metacritic Metacritic (based on 46 critics on PlayStation 4) and 90 at Opencritic. To see individual scores, we’ve got a roundup of the major critics below. Game Informer says it’s “an intense, challenging realisation of the ninja fantasy,” while Gamespot’s Tamoor Hussein says “I’m not too proud to admit that I cried” after beating a particularly difficult boss. If you missed any Sekiro news, here’s everything you need to know about the game, and here are its system requirements. Interested? 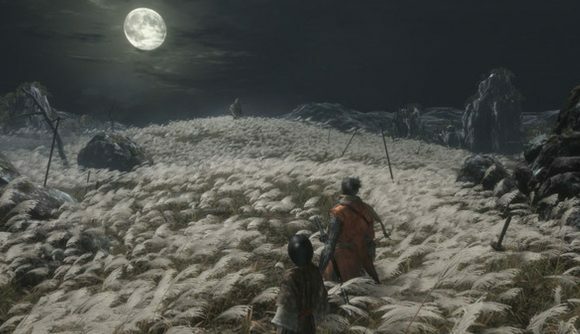 Here’s Sekiro: Shadows Die Twiceon Steam. It comes out tomorrow and will set you back $59.99 (£49.99). Good luck!